The KIFU PARIS Bar Trolley is a luxurious accent piece for any living space. Available in Antique Natural Shagreen or Black Pen Shell, this piece can be easily moved on wheels and comes with three removable trays. The interior includes two drawers and shelving. 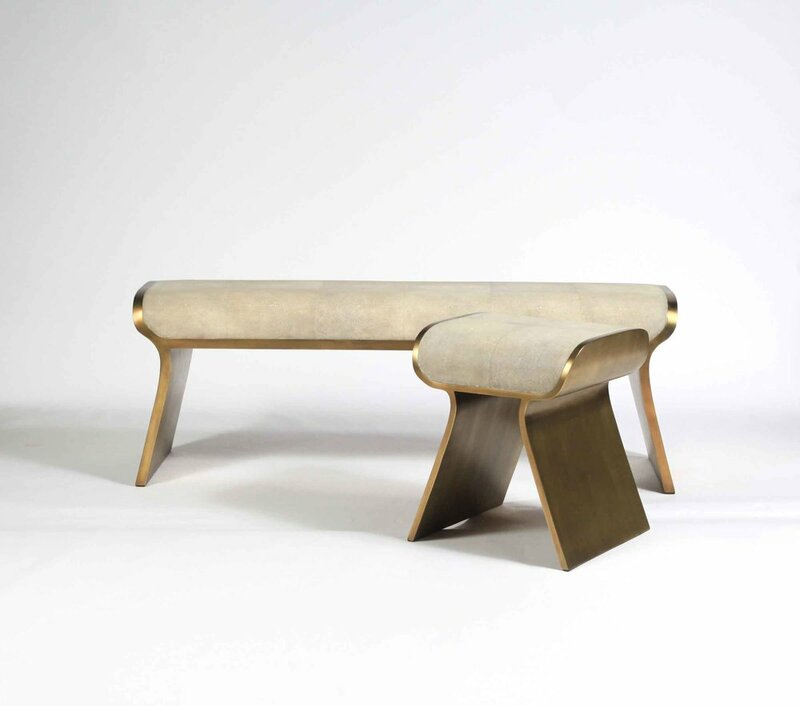 · Antique Natural Shagreen or Black Pen Shell, wood veneer interior.